Fat Kids from Outer Space has been featured in three museum shows in the Gulf South. 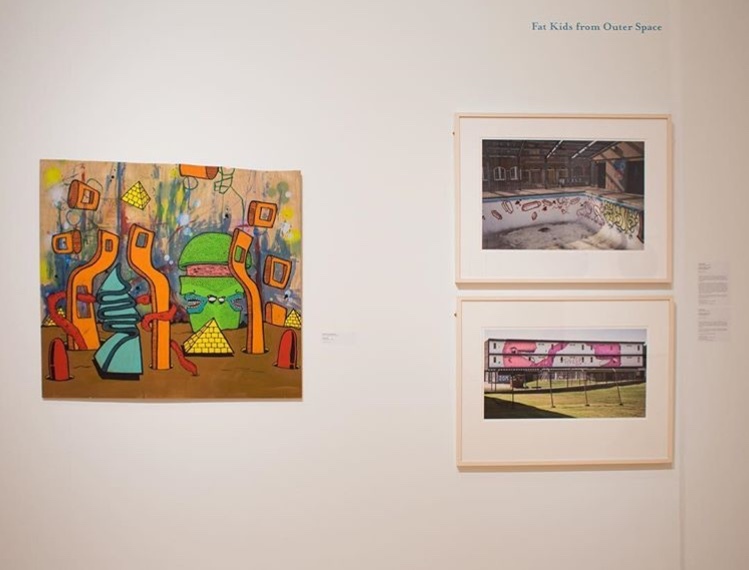 Fat Kids was featured in the 2015 book and group show “Artist Spaces” by Tina Freeman & curated by Bradley Sumrall for the Ogden Museum in new Orleans. This marked the first time an artist was able to paint on the walls inside the museum. Fat Kids’s site specific piece was shown alongside artists including George Dureau, Lin Emery, Keith Duncan, Elenora “Big Queen Rukiya” Brown and others. 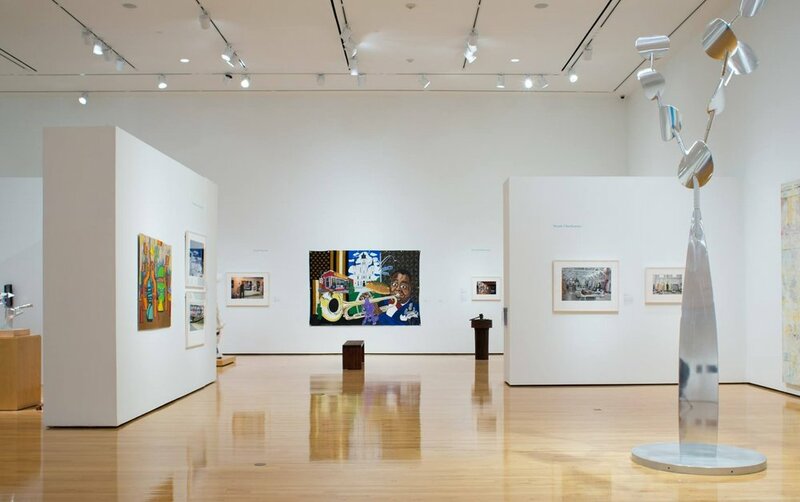 In 2018, “Artist Spaces” travelled to Lafayette, Louisiana at the Paul & Lulu Hilliard Museum, co-curated by Bradley Sumrall. “I Produced a Hip Art Show” is an annual juried exhibition at the Walter Anderson Museum of Art in Ocean Springs, Mississippi. Fat Kids was invited to create an original piece of artwork under the theme of Walter Anderson vs. Wes Anderson in 2018.